What’s it really like to abseil from the Forth Rail Bridge? The Forth Rail Bridge is one of Scotland’s most iconic features and on the 26th June a group of brave souls will be abseiling from it SAS style to raise money for Age Scotland! We caught up with two of our wonderful fundraisers – one who took part in the abseil event last year and one who is about to take the plunge. Sheila Herron took part in the 2015 abseil for Age Scotland along with some friends. We spoke to her to find out a bit more about the experience. So what made you decide to sign up for the abseil? My elderly mum had received valuable advice from Age Scotland and this alone was worth fundraising for. It was great that she could get help and advice from folk who understand at the end of the telephone. I have worked and fundraised for other charities previously (and still do) but felt Age Scotland’s work is something important enough to do this for. And what was it like on the day? The organisation of the day is excellent. There’s lots of helpers and volunteers which made it feel very safe and the day go well. I am terrified of heights, just getting onto the gantry at the bridge was challenge enough! The crew at the top were brilliant though. Climbing over the bars was ok, the letting go was the hardest part, but the guy in the climbing crew was fab; nice, calm and patient. I had loads of support on the ground from family and friends, which just added to the buzz. Getting to the bottom was a relief but it was so worthwhile. I’m really pleased that I managed to do it. I found it really challenging but everyone involved was so good and you get swept along with the whole feel of the day so it ended up being a really good, fun day! Do you have any advice for someone thinking about taking part this year? I would absolutely recommend it to anyone – it was an amazing day, good fun and had a good community feel to it. And what a relief at the bottom! My friends and I had a great time fundraising for it. We held a coffee and cake afternoon in the garden asking for donations and folk were really generous. I’d say to anyone that signs up it’s a good idea to get the Just Giving page started early on – it is amazing how the £10s soon add up! You can watch a video of last year’s abseil here. Tamlin Wiltshire (better known as Tam) has signed up for this year’s abseil. The event is on his 45th birthday so he and his family are making a day of it. Tam has signed up for the morning abseil then they will head for a nice lunch in North Queensferry and some drinks to celebrate. The 13th – 19th of October is “Get Online” week! 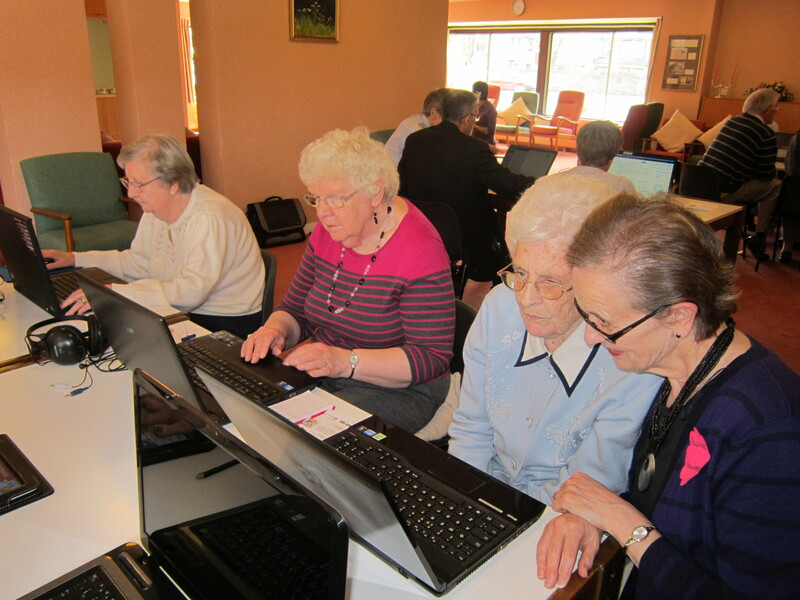 Our Digital Communications Officer Emma Bisset visited a computer club held by Keeping in Touch Edinburgh (KiTE), to find out how the organisation is helping older people overcome their fears of technology and getting them online. Technology has been part of my life for some time now. I’ve had to use email and the internet for work for years, and I regularly do my banking and shopping online. 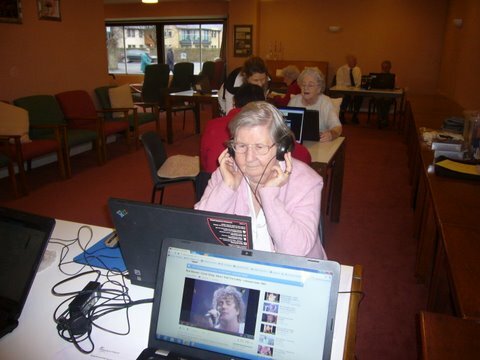 For many people going online is second nature, so it’s easy to forget that some older people never used a computer during their working lives. As an increasing number of services move to being more focused on their online activities, there is a fear that these people will be left behind. That’s why organisations like KiTE are so crucial. KiTE work with older people to introduce them to the benefits and fun of being online, and work to alleviate their fear of technology. They offer a structured beginners course, 1-2-1 sessions and a more relaxed computer club. Viewpoint Housing Association provide funding for Old Farm Court Sheltered Housing to host a regular computer club, which residents can attend for free. I went to visit them recently to find out more. I first spoke to a lady in her mid-eighties called May. 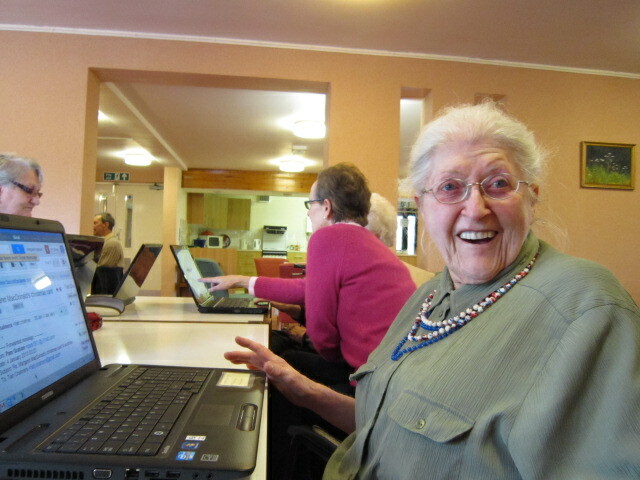 She had never used a computer while working but is now a regular attendee of the computer club, having had a 1-2-1 session to get over her initial reservations. She has now signed up to Facebook, which she uses to stay in touch with a friend in Ohio and share information with other older friends who are also members. “My hearing isn’t what it was and I need the telly on really loud, which probably disturbs my neighbours. I got free headphones for the telly from DeafAction which have really helped, so I put on Facebook that they did that so my friends knew as well. It’s great for letting people know your news and what’s going on.” May’s next goal is to learn how to make Christmas cards online so she can personalise and print off cards for everyone this year. One lady who was attending the club for the first time still had her reservations and said she found the session rather overwhelming. I noticed how the other members rallied round, reassuring her that they had felt the same on their first visit. There is a real sense of the members being supported as they find their own way, with some members bringing their own laptops and even iPads. Some had clearly built up some confidence, only calling on KiTE volunteers if something unexpected happened, while others sat with a volunteer, being talked through a process. People of all ages differ in how much they use technology and what they go online for. It’s great to see organisations like KiTE working to tackle the fear some older people have, and explain the benefits of the internet and digital technology to generations that are just discovering them. Visit KiTE’s website to find out more about their work. 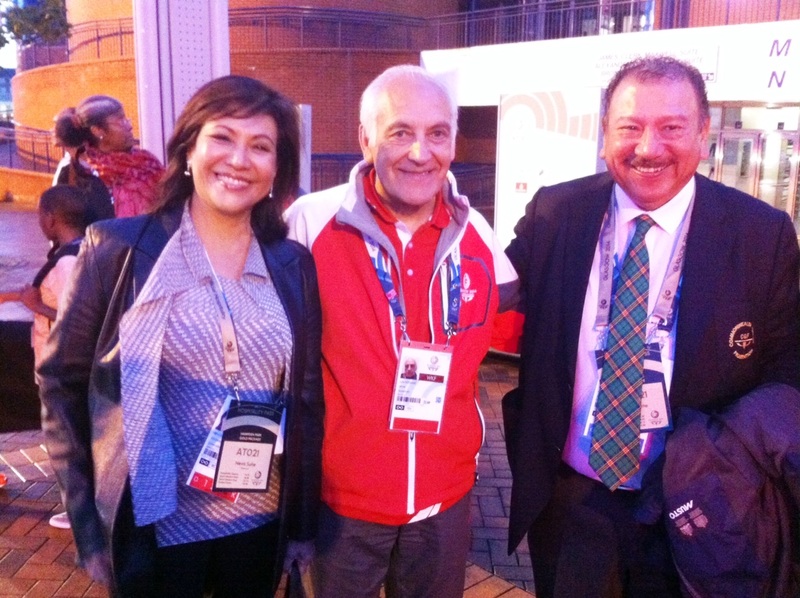 John Stewart, 69, shares his experience of volunteering at the Commonwealth Games and why he would encourage others to volunteer. When I was young, men slightly older than me who had enjoyed or endured National Service would offer the advice “never volunteer”. Perhaps that stuck with me, because up until the Commonwealth Games in Glasgow, I had never volunteered. Because I was retired and widowed and looking for things to do, and not least because it was in Glasgow where I live, I decided to put my name forward. When I heard that 50,000 had done the same and 25,000 were to be interviewed for 15,000 places I assumed that being 69 would rule me out. However I was called to interview in early 2013. The process was very slick at the Commonwealth offices in Glasgow. My passport was scanned, my picture taken and I responded to a standard set of questions. After that, I received a number of newsletters but heard nothing back so assumed that was that. Then in May of 2014, I found out I had been selected as a driver which had been my first choice. So I became a Clyde-sider. 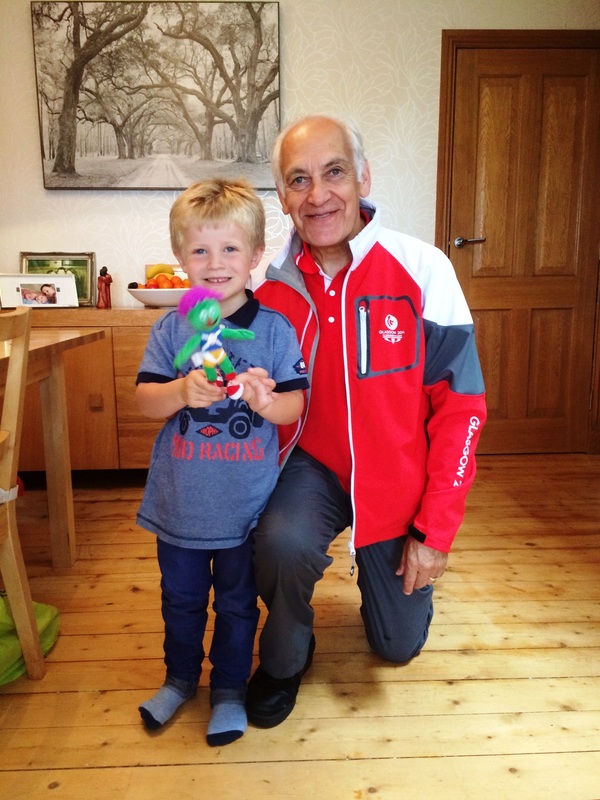 Me and my grandson Ryan, who loved the mascot Clyde! I attended two training days in June at the place that was to be the transport depot. I was amazed to learn that there was to be over 1,100 cars available and 1,500 drivers, some of whom would be on shift and all of whom would be doing 10 hour shifts. My rota extended over sixteen days with two days off. At first that sounded a lot but they explained that during the ten hours would be broken up while we waited for clients that were attending meetings or events. My role was to be what was called a T1 driver. This involved being assigned to a specific car and a specific client who would be part of what was called the Games Family. For the most part these were representatives of the Commonwealth Federations of the 71 countries competing. Before the Games started I had most of three days driving between the various locations in Glasgow where events were to be held until the routes were well known. Clients were arriving at different times so I had some days at the beginning of the Games where I was a support driver, waiting for my clients to sign on. During that time I chauffeured for the Bahamas, Swaziland and Australia until my client from Guyana arrived. As well as driving there was time for me to chat to the other drivers at the depot and everyone had a story to tell. Many had volunteered at the Olympics in London and had travelled from many parts of England and stayed at their own expense, simply because they had enjoyed the experience so much. Meeting other drivers and sharing their experiences all added to the enjoyment. Most of the driving was taking the clients from their hotel to a Games venue, moving between venues or to the Athlete’s Village. A massive bonus was that with my type of car pass I could park close to the venue and my personal pass allowed me into the events to watch from the back. I saw Rugby at Ibrox, Boxing, Netball and Gymnastics at the Scottish Conference Centre and the icing on the cake was three evenings watching Athletics at Hampden. So what have I taken away from the experience? I found I could speak easily to complete strangers and I intend to keep that going. I now find I will engage people in conversation in queues and in cafes. 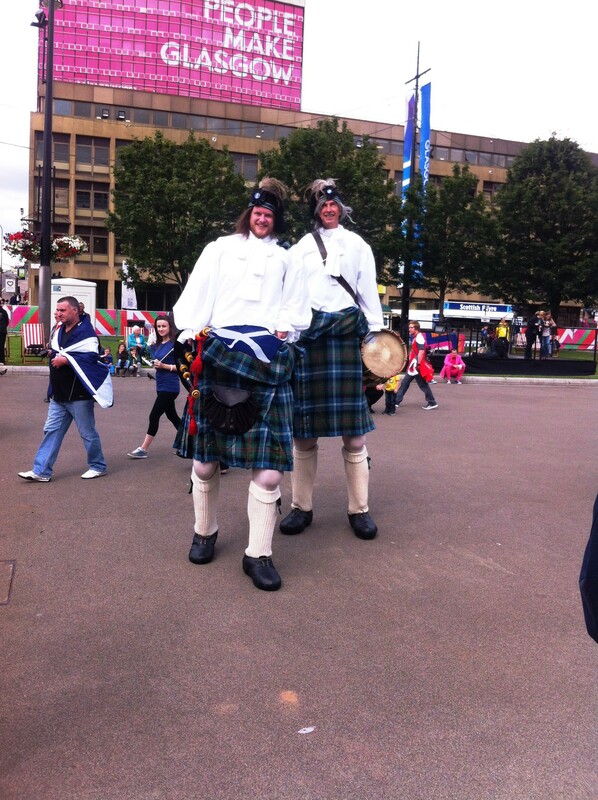 During the games the uniform gave that licence but I realised people are often happy to chat. I found that I was still able to do a full 10 hours without getting weary and I am now avoiding daytime telly in favour of doing things. I golf twice week and my son and daughter have found lots of D.I.Y. to keep me amused!